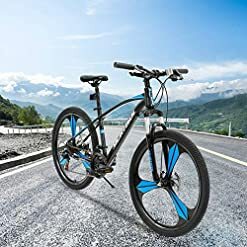 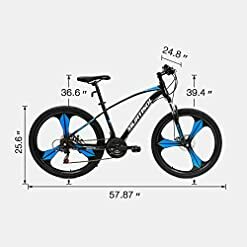 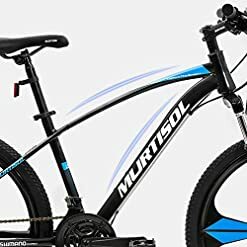 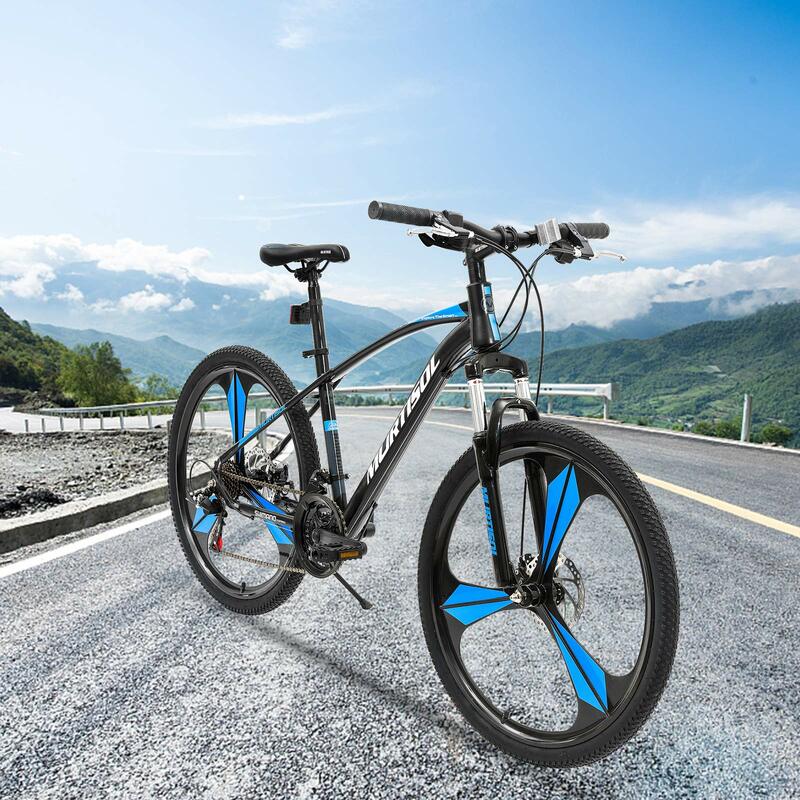 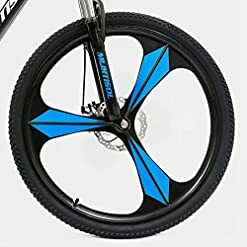 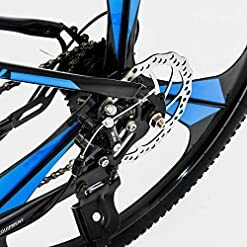 AWESOME MAG WHEEL-The wheel made of aluminum, combines with differentiate curved frame mixed charming blue on the body pretty cool suitable for any age of cyclist, perfect for getting to and from work or play. HIGH COMPONENTS-Built with high end components, features superior strength and durability. 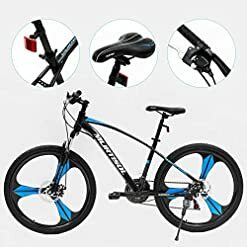 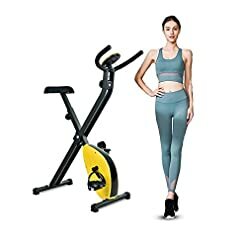 the bike is worth the money. 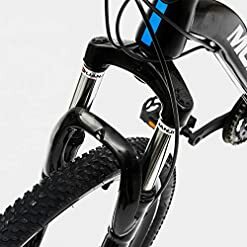 Suspension front fork provides great absorption in bumpy terrian for a smooth and comfortable riding. 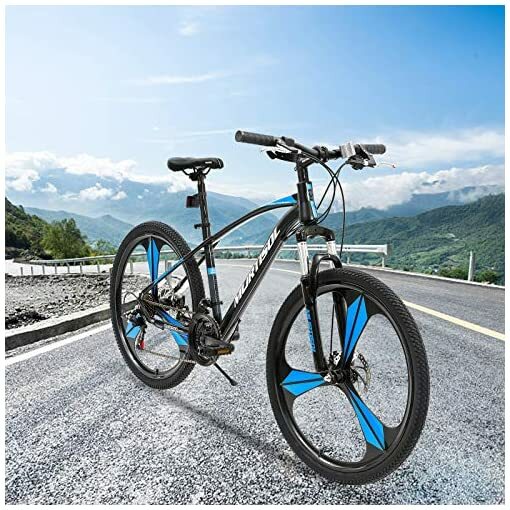 GOOD QUALITY–Solid frame, the combination of high quality HI-TEN new designed steel frame. SAFETY-Both front and rear disc brakes perfectly increase safety and control for bikers.